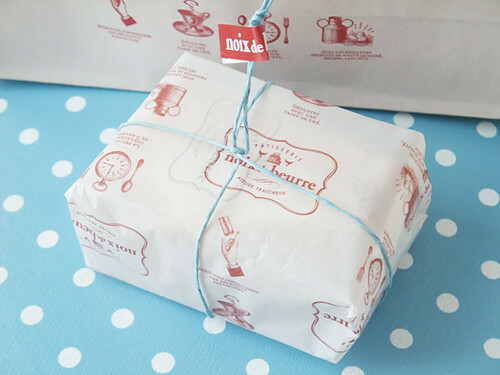 from noix de beurre, latest confectionary in Shinjuku Isetan. 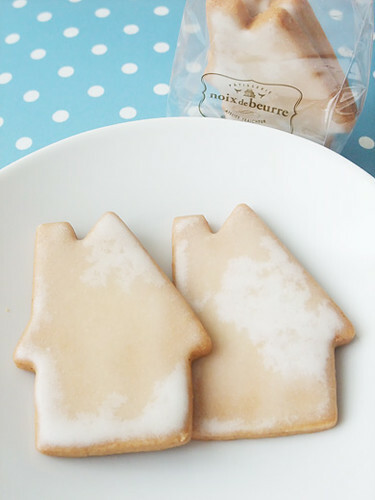 I opened it at home, there’s lovely houses with simple icing. These are citron sable, lemon cookies. Yum! Aww, both cookies and package are so cute!